I have now directed four shows based on classic novels for the well-known southwest performer and Kneehigh actor Dave Mynne. To date the shows include Dracula, The Odyssey, Great Expectations and Charles Dickens' A Christmas Carol. 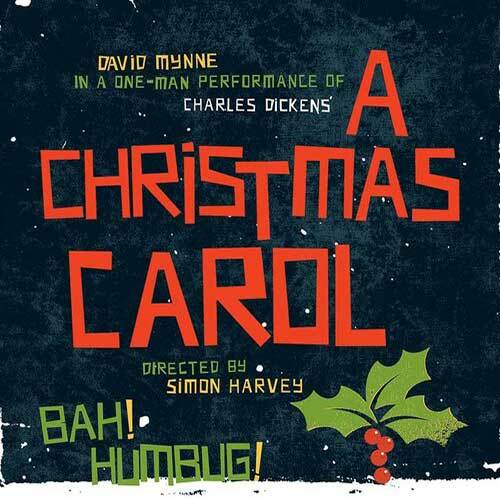 Rabbit Theatre's David Mynne (founder member of Kneehigh Theatre) returns for this festive treat of a show! In their inimitable style the team that brought you Great Expectations, Dracula and The Odyssey now take you on a grim journey through the dark, dismal streets of Victorian London, where Ignorance and Want cower together. From the makers of ‘Great Expectations’ and ‘Dracula’ comes a tale more exciting than excitement itself. The journey of all journeys. To Hell. And back again. Gods, Monsters, Sirens, Derring-Dos and Derring-Donts! A love story that lasts decades. It’s Greek stuff... with all the boring bits removed! "Cyclops! A hulk of flesh, Ship tall. Arms reaching to his knees. Mouth - a gaping universe. And in the middle of his foolish forehead / One. Single. Eye." The team that brought you the award-winning ‘Great Expectations’ have got their teeth into Bram Stoker’s classic tale of the vampire. Written by Andrew McPherson and directed by Simon Harvey, 'outrageously versatile' performer David Mynne brings you his one-man performance of... DRACULA! Be warned: this monstrous, disturbing (and completely batty) tale of dark deeds and the UnDead, will thrill and seduce you. An adaptation of the Dickens classic, in which Dave Mynne plays everyone from Miss Harversham to Pip.